The LDN2SFO January 2013 trip took place over four days from January 29th to February 1st 2013. The group was based in San Francisco, where the first two days of events and company visits took place. For the final two days, the group departed San Francisco each morning by coach, returning again in the evening. The schedule included a series of talks and Q&A sessions with some inspiring speakers, networking events and visits to companies and organisations throughout the Bay Area. Participants also had the opportunity to attend the Crunchies awards ceremony in San Francisco on the evening of Thursday January 31st. 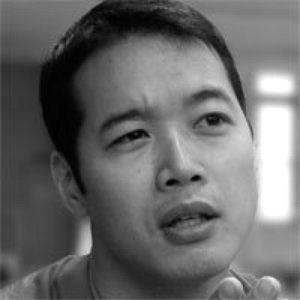 Eddie Yu - Why Is Silicon Valley So Hot With Technology Startups? The UKTI team in San Francisco was instrumental in making LDN2SFO a success. As well as providing logistical support and advice and hosting the group at the British Consulate as we heard from Andrew McLoughlin, Scott Allison, Elliott Loh and Bjoern Herrmann, they arranged for discounted flights from Virgin Atlantic and discounted tickets to the Crunchies awards ceremony and after-party. Orrick, Herrington & Sutcliffe have a long track record of supporting the startup community in both the US and the UK. After hearing about LDN2SFO, Chris Grew, a partner in Orrick's London office, put us in contact with their San Francisco office, who hosted the group at the Orrick Building in downtown San Francisco, as we heard from Phil Black and Duncan Logan. As part of their support for UK business and entrepreneurs, Virgin Atlantic offers discounted fares to companies participating in UKTI's trade missions to the United States and they were kind enough to extend this offer to LDN2SFO participants. The Hacker Dojo in Mountain View is the focus for a vibrant community of hackers, technologists and startups. When we approached them to ask if we could use their events space, they enthusiastically agreed and, as a result, LDN2SFO visited the Dojo to hear from Chris McCann (founder of StartupDigest and GroupTie) and a panel of early-stage startup founders. Afterwards, we joined the regular Friday evening Happy Hour and mingled with members of the Dojo's community. LDN2SFO consists of a packed schedule of 28 different talks, briefings, visits and events. One of the logistical challenges has been scheduling time for the group to have lunch each day. This was made easier when CloudFlare's founders heard about the trip and contacted us out of the blue to invite the group to have lunch at their offices in San Francisco. 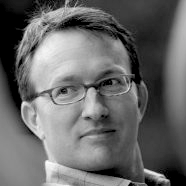 Scott Allison is the founder and CEO of Teamly. 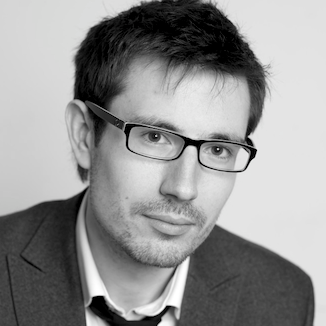 A serial entrepreneur, Scott moved from the UK to California to join the 500 Startups program. Elliot Loh is a co-founder of the Giant Pixel Corporation. He has been designing technology products since the mid-90s and was the first designer at Yammer. Elliot also mentors at both StartX and 500 Startups. Harjeet Taggar is a partner at Y Combinator. 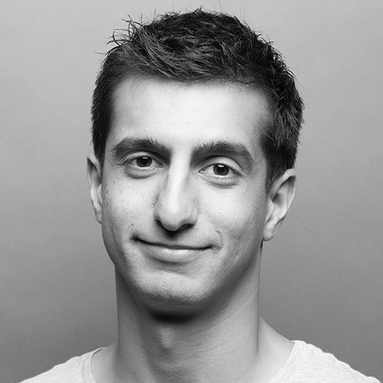 Harj previously co-founded Auctomatic, which was funded by Y Combinator and acquired by Live Current Media in 2008. 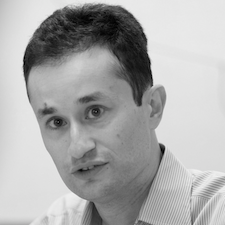 Aaref Hilaly is a partner at Sequoia Capital. He moved to Silicon Valley from the UK to found CenterRun (acquired by Sun Microsystems) and was later CEO of Clearwell Systems (acquired by Symantec). 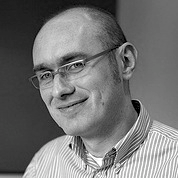 Bjoern Herrmann is a founder of Startup Genome and co-author of The Startup Ecosystem Report. He previously founded four for- and non-profit ventures in Germany, Bangladesh and the US. Blackbox is an accelerator that specialises in helping startups from overseas find their feet in Silicon Valley. We visited their residence in Atherton along with a group from the Czech Republic to hear from founder Fadi Bishara and meet with some of the Blackbox team and current residents. CloudFlare is a service that improves website performance and protects against threats like DDOS. CloudFlare invited the LDN2SFO group to visit CloudFlare's offices in San Francisco to have lunch and hear from co-founder and CEO Matthew Prince about how the company was founded. Glynn Capital is a premier investment firm that takes a long-term approach to technology investing in both the public and private markets. Recent private company investments have included Cloudera, Etsy, Palantir, and Dropbox. We were invited by Jacob Ziemann to visit Glynn Capital's offices on Sand Hill Road to hear from managing director David Glynn on their approach to venture capital investing and what they look for in a startup. The Hacker Dojo is a not-fot-profit community centre, hackerspace, co-working space and events space for members of the tech community in Mountain View. The Dojo hosted LDN2SFO for an early-stage founders panel, after which we joined the Dojo community for their weekly Friday evening "Happy Hour". Mashape is a San Francisco-based startup that's building a marketplace for cloud APIs. Founder & CEO Augusto Marietti heard about LDN2SFO and invited the group to visit the Mashape hacker house in SoMa, where he shared his experiences of coming to San Francisco from Italy to found Mashape. offered to host LDN2SFO at their offices in downtown San Francisco for a morning, as we heard from Phil Black and Duncan Logan. Pivotal Labs is an agile software development consulting firm who have worked with clients like Twitter and Groupon. We visited their San Francisco HQ to hear from COO Edward Hieatt about how Pivotal works with clients to build great products. Plug and Play Tech Center is a startup accelerator which has its roots in 165 University Avenue, a building in Palo Alto which has housed many successful startups including Google and Paypal. We visited their Sunnyvale campus, which houses 340 startups, and heard about how Plug and Play help foreign startups get a foothold in Silicon Valley. Sequoia Capital invests in seed stage, early stage and growth stage emerging technology companies across the US, China, India and Israel. Sequoia-backed companies collectively make up 20% of the value of NASDAQ. We visited their headquarters on Sand Hill Road and heard from partner Aaref Hilaly. Singularity University is a non-profit educational institution that runs a series of programmes focusing on the development of exponentially advancing technologies and how they can be applied to address humanity's grand challenges. We visited their campus at the NASA Ames Research Center in Mountain View to hear from business development manager Aaron Frank. Twilio provides an API that allows developers to integrate telephony functions into their applications. We visited Twilio's offices in San Francisco to learn about Twilio's approach to marketing and community-building. UK Trade & Investment is a UK government department that helps UK companies expand overseas and works to attract foreign companies to the UK. The UKTI team in San Francisco supported LDN2SFO through logistical advice and support, and by hosting the group at its offices in downtown San Francisco. They also arranged for the group to benefit from discounted tickets to the Crunchies Awards ceremony and after-party, and discounted flights on Virgin Atlantic. Vodafone Xone is Vodafone's incubator and venture capital fund. Vodafone launched Xone in Silicon Valley in 2011 to engage with and supports tech companies, and plans to open a London office in the near future. We visited their Innovation Labs in Redwood City to learn about how they incubate and work with startups. WePay was born out of its founders' dissatisfaction with existing online payments services. Since graduating from the Y Combinator programme in 2009, WePay have raised almost $20m in funding from some of Silicon Valley's most respected investors. We visited WePay's Palo Alto headquarters and heard from founder and COO Rich Alberman. Y Combinator is one of Silicon Valley's most successful and respected accelerator programmes. Founded by Paul Graham, it has incubated nearly 400 companies, including AirBnB and DropBox. We visited YC's offices and met with Harj Taggar, who became a partner of the firm in 2010.